It was just a regular night at Target here in New Hampshire. That is, of course, until we stumbled on the “Booporium,” which I’m sure they intended to be pronounced Boo-porium, but which my son and I insisted on calling the Boop-orium (with an extended pause in the middle for greatest effect). On the top shelf, there were these cute, full-head masks. No doubt, they were on the top shelf to discourage people like me—okay, people just a bit shorter than me—from trying them on. These “masks” were more like the heads of college mascot costumes than masks. Today’s masks are a far cry from the ones I (and my contemporaries) wore on Halloween. 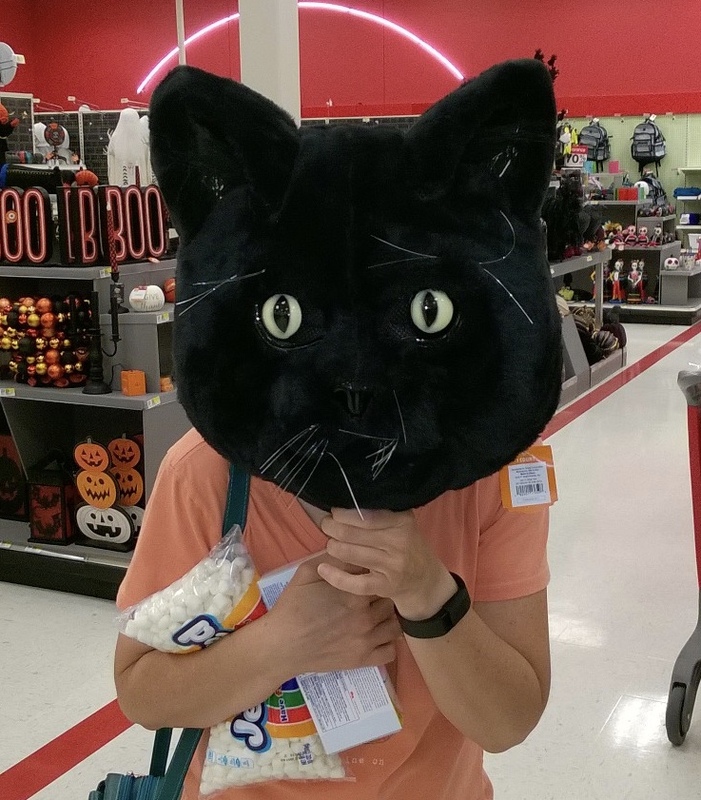 Against my better judgment, I had to try on the black cat because it was so cute. I put it on, and looking quite fashionable, I slunk off through the aisles (as I imagined a cat might do) in search of my son. However, I have to say the visibility was a bit limited, reminding me of Halloweens past and the reason I don’t do masks. This mask had several small spots of screening, allowing the wearer to see out, but the view was partially obstructed from all angles. I was trying to sneak up on my son, and thought I saw him turn into one aisle. When I approached, he was coming out of a different aisle. He saw me, let out a half disgusted, half surprised, “Oh my!” and quickly turned down another aisle. No doubt, his teenage self-protection kicked right in on seeing me—concerned he might be spotted by someone he knew while his peculiar mother was trying on the Halloween masks. I laughed and turned away as I pulled it off my head. But really, who can stop at just one? They were all cute and begging to be tried. 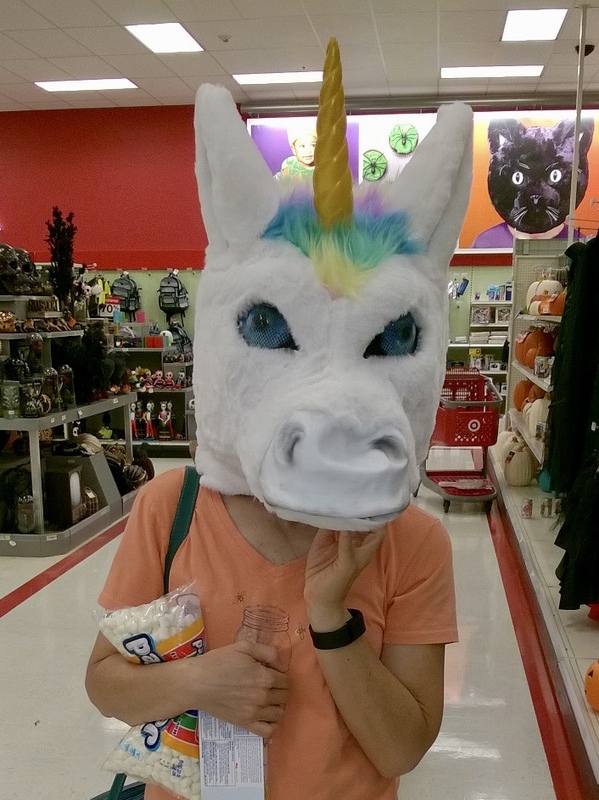 Yep, it was just a regular night at Target. My son might think twice before he agrees to wander with me to the back of the store—home of the BOOP-orium—the next time.